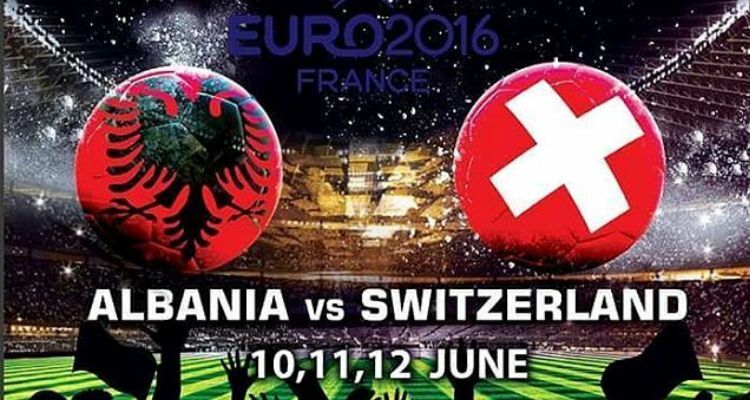 Albania and Switzerland will face off against each other at Stade Bollaert-Delelis Lens on Saturday which will be the second match of the Euro 2016 competition after the Host France must have played against Romania. Albania seems to be the easiest team to play in group A which has teams like France and Romania, they are expected to have low performance, grabbing a win from any of their opponents in group stage will be good achievement for the Albanian team but that will take more than a hard work for them to achieve that. Switzerland are now among the best teams in Europe, rubbing shoulders with big boys, they currently ranked 15 in the latest FIFA ranking and will deem themselves lucky to be playing the group’s underdog in their first game. Albania’s last 6 games recorded 2 draws, 2 defeats and 2 victories against Luxembourg and Qatar. They are not all that bad in performance as they have scored at least 2 goals in 4 of their last 6 games. Switzerland are coming into this game on the back of a 2-1 victory against Moldova, but their previous games before that have been poor. They have lost 4 of their last 6 games and won 2, they have failed to keep a clean sheet in their last 6 games having conceded in the games and also they have conceded at least 2 goals in 3 of their last 6 games. Albania (4-3-3): Berisha – Hysaj, Cana, Mavraj, Agolli – Xhaka, Kace, Abrashi – Roshi, Sadiku, Lenjani. Switzerland (4-2-3-1): Burki – Lichtsteiner, Schar, Von Berger, Rodriguez – Behrami, Xhaka – Shaqiri, Dzemaili, Embolo – Seferovic. Switzerland is yet to record a loss against Albania, they have met 6 time and Switzerland have won 5 of the 6 game and drawn 1. They have never played against each other in Euro championships before as this match will be their first, but they have played 2 Euro qualification games in 2002 and 2003 which have ended in a draw and win for Switzerland respectively. Both teams have also played in World cup qualification games 4 times and Switzerland have been victorious in all 4 games. This entry was posted on Thursday, June 9th, 2016 at 6:16 pm	and is filed under Euro 2016. You can follow any responses to this entry through the RSS 2.0 feed. You can leave a response, or trackback from your own site.